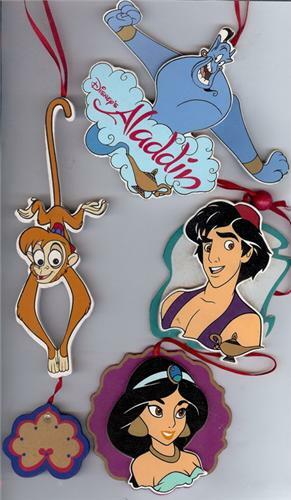 Disney Aladdin 4 Wood hand painted Ornaments. For one price you will receive all 4 of these ornaments you see. The Genie and his magic lamp, has a pull string and his arms go up and down, really cool. Aladdin, Princess Jasmine, and Abu.